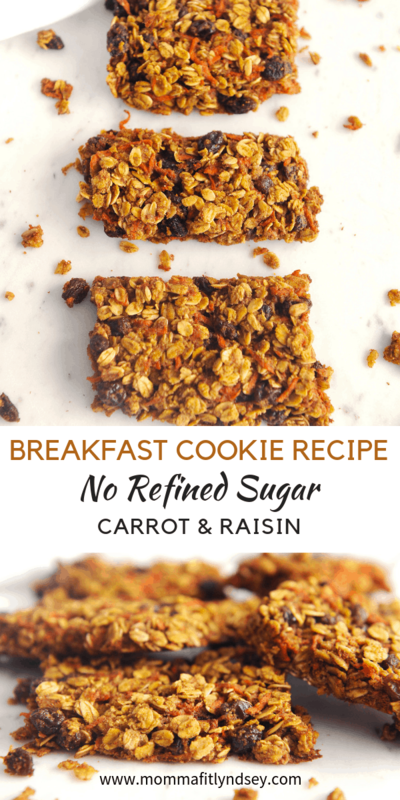 This breakfast cookie recipe uses carrots, raisins and maple syrup to reduce sugar in this healthy breakfast recipe! 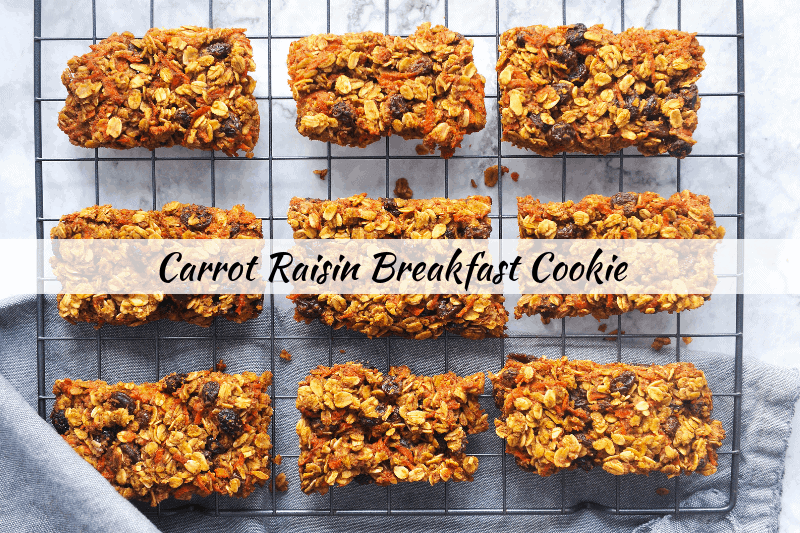 Breakfast cookies are one of my favorite easy breakfast recipes to take on-the-go! Hormonal Acne and NOT sabotaging my nutrition plan! I admit, I have a total sweet tooth. So when the idea of a breakfast cookie came to mind, I was 100% on board. But – I’ve really been trying to reduce my sugar intake. Hormonal acne is a huge issue for me and I’ve noticed that sugar is definitely a trigger for flare-ups. I’ve also noticed that my fitness results seems to be a whole lot better when I’m limiting my sugar. It becomes a lot easier to adhere to my nutrition plan when I’m not fighting the sugar beast! If you follow me on Instagram (and if you don’t feel free to!) I’ve been talking about beginning to track macros. I’ve been going to nutrition focus meetings at my gym. The sugar target (including natural sources) was no more than 50 grams per day. Needless to say, I’ve been doing a lot of label reading! It’s insane how many things hide sugar! Basically anything that is low fat or fat free has an increased amount of sugar to make up for the loss of flavor. Sadly – so many of my favorite bars had a ton of sugar! 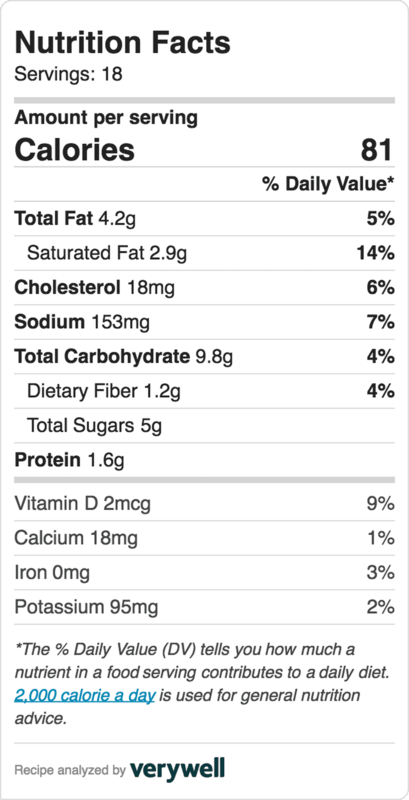 Much of it is naturally occurring but with only 50 grams per day, I needed to watch even my natural sugar intake. So – I created these bars for three reasons. 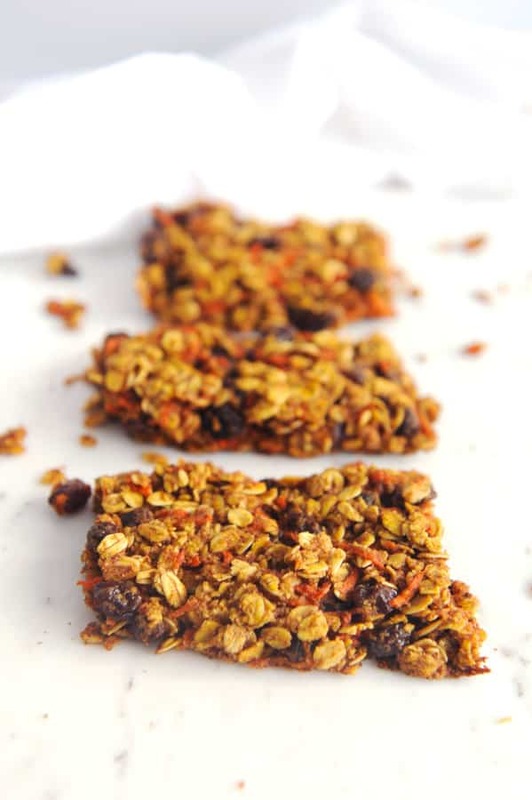 I wanted to have something that was easy to transport, low in sugar, and had hidden veggies! 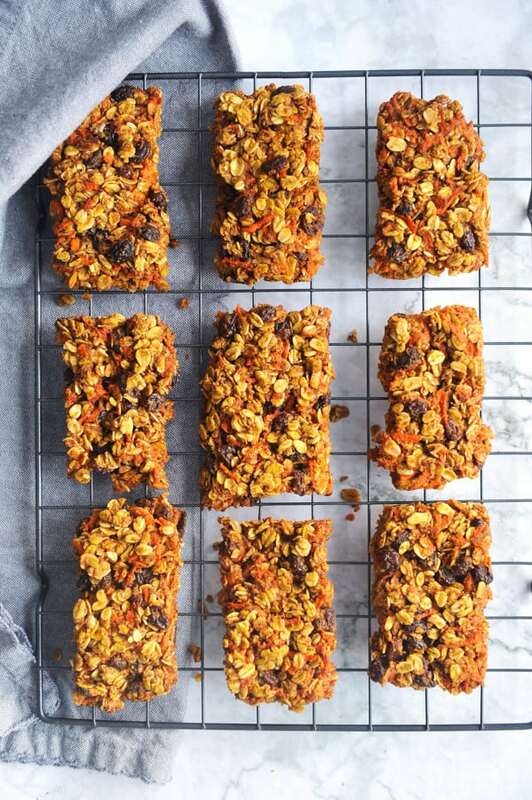 Note – the carrots, raisins and maple syrup are what sweeten these bars. 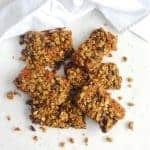 If you are used to a sweeter bar but are looking to keep your sugar low, I would suggest adding in a bit of Swerve to sweeten it up. Heat oven to 350 degrees. Spray a baking sheet with cooking spray. Sift flour, baking soda, cinnamon, and salt into a medium bowl. Set aside. Beat coconut oil and syrup in a large bowl until well incorporated. Add eggs and vanilla until incorporated. Add in sifted dry ingredients until just mixed. 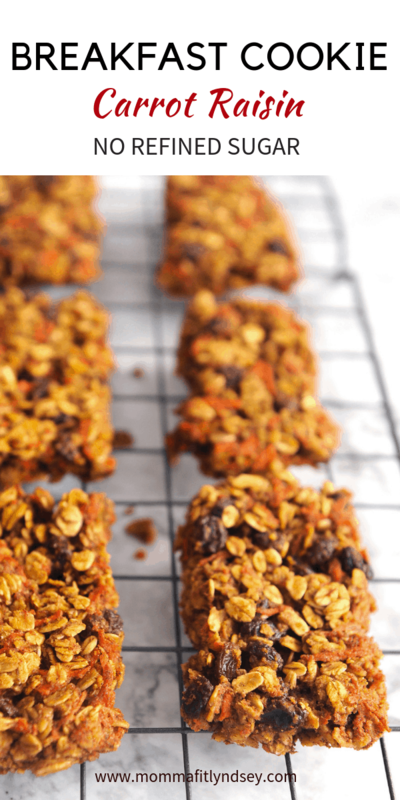 Fold in oats, applesauce, carrots and raisins. Pour mixture onto prepared baking sheet. 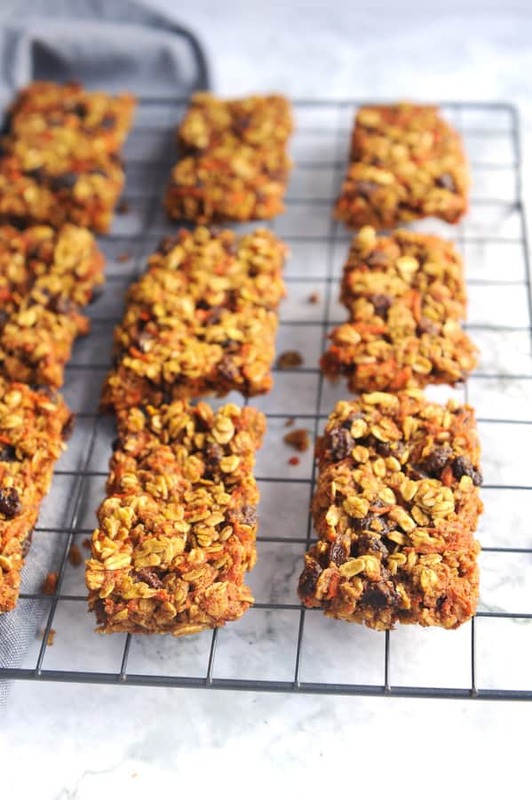 Flatten out to a bar formation, filling up the entire pan (you'll cut them later). Bake until golden, 14-16 minutes. Let cool in the pan until completely cool. Cut into 18 bars. Are you trying to reduce your sugar intake? 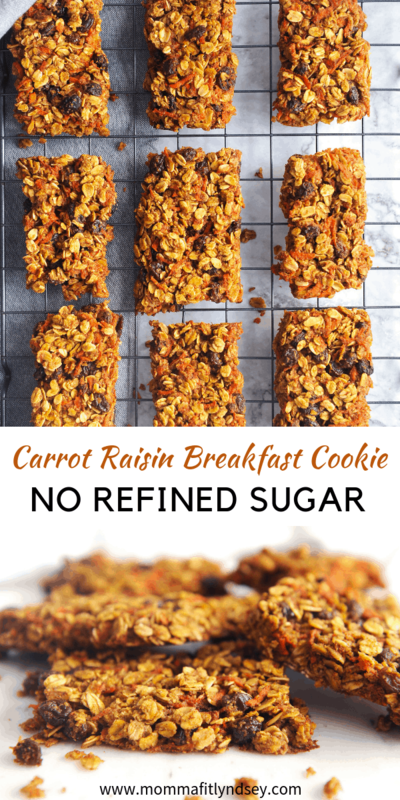 What are some of your favorite low sugar breakfast recipes? Tell me about it in the comments!